The presence of invasive oysters can support an endangered native oyster species in certain situations, a team led by a British Antarctic Survey scientist has found. The result was a surprise, as the invasive species – an aquaculture species from Japan, imported and widely used in fish farms – was expected to do better than the native European flat oyster. The findings, published this week in the journal Functional Ecology, have implications for helping the at-risk native species thrive in future. The European flat oyster is an EU biodiversity "Action Plan Species" because it provides important habitats for animals such as worms, anemones, bryozoens and barnacles, as well as being a foodsource for birds. It is now in worrying decline, and attempts are underway to help populations recover. When researchers studied the two species alongside each other on vertical surfaces of submerged boulders along the coast of Northern Ireland, the presence of the invader (known as the Pacific oyster) actually helped increase the growth rate of the native oyster. 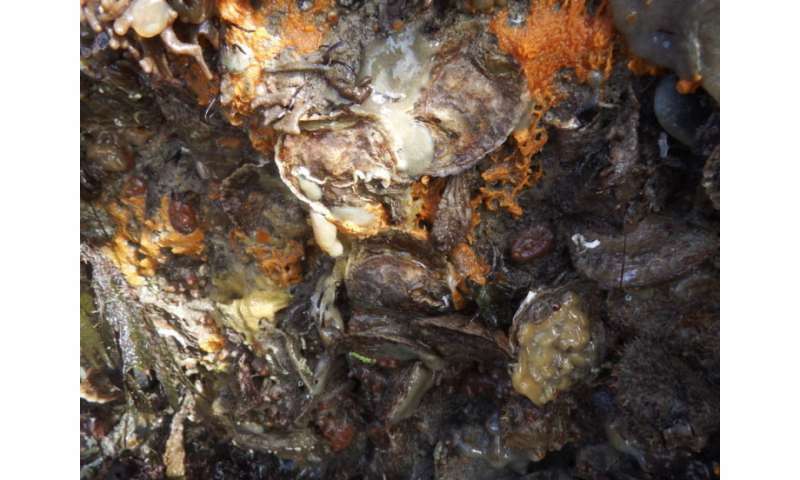 Scientists think this is because the newcomer had a stronger sucking action, causing more plankton (suspended in the seawater) to flow past all the oysters on the rock, including the native ones. 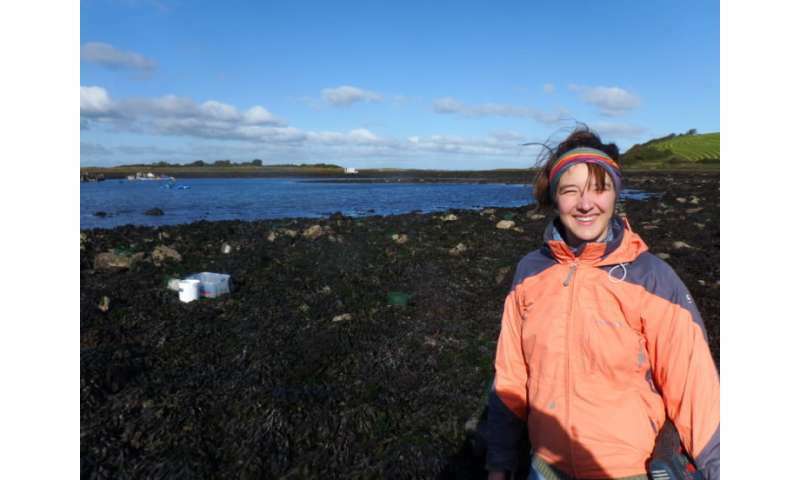 Lead author Dr. Nadescha Zwerschke, from British Antarctic Survey, who carried out the field work whilst at Queen's University Belfast, said: "It is exciting to find that the endangered native oyster can directly benefit from the presence of what we thought was a competing invasive species. These findings will affect how we look at protecting endangered species in the future." But the situation was more complex on horizontal surfaces, showing that environmental context is critical. When the scientists studied the two species together on horizontal boulder surfaces, the situation changed depending on whether the location was continuously submerged (subtidal) or not (intertidal). 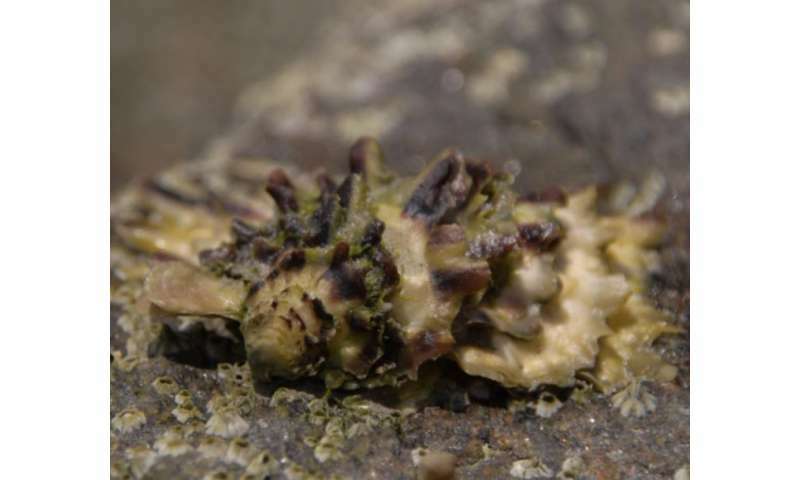 On horizontal surfaces in the intertidal zone, native oysters reduced the growth rate of the so-called invasive competitor. This could be because smooth-shelled natives reduce the water-retention capabilities of the frilly-shelled invaders during low-tide, by breaking up their natural cluster formation. But where the two species were always underwater (beyond reach of the tide), the interloper reduced the growth rate of the native oyster, eating the most nutritious plankton, leaving the European flat oyster with leftovers. Assistant Professor Nessa O'Connor, from Trinity College Dublin, added: "These findings show that looking at detailed context is critical if we want to understand how to protect native species."